Searching for flavourful culinary delights and sampling unique foods from around the world is definitely one of the best parts about travel. 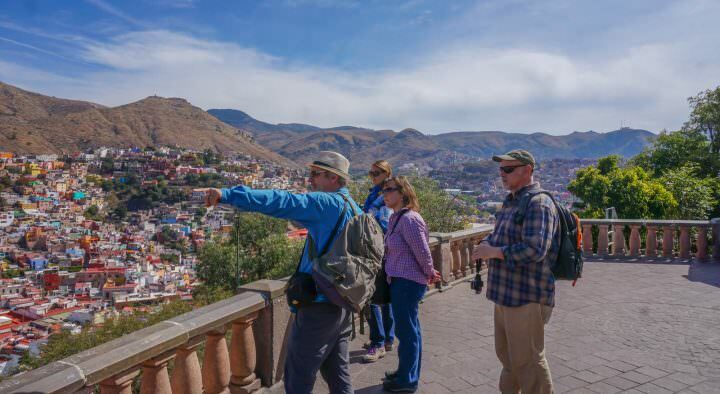 Whether it’s street-food or 5-star cuisine, finding local specialties is a highlight of our travel days! We’ve put together 10 photos showcasing some interesting and flavourful foods from around the globe. This simple snack is one of our favourite dishes in Nepal. Momos are dumplings that are served steamed, or fried with peppers and onions. Our top pick is Buff Momos, which are dumplings stuffed with buffalo meat, but you can also find pork, chicken, yak or vegetable stuffings. This flavourful, hearty soup is found all over Kyrgyzstan and in variations in other parts of Central Asia and China. In a bowl of Lagman Soup, you’ll typically find sliced mutton meat with stretched noodles, onions, peas, dill and other vegetables covered in a vinegary, and sometimes spicy, broth. Perfect on a cold day. This is definitely not the healthiest dish in the world, but it’s a must try! 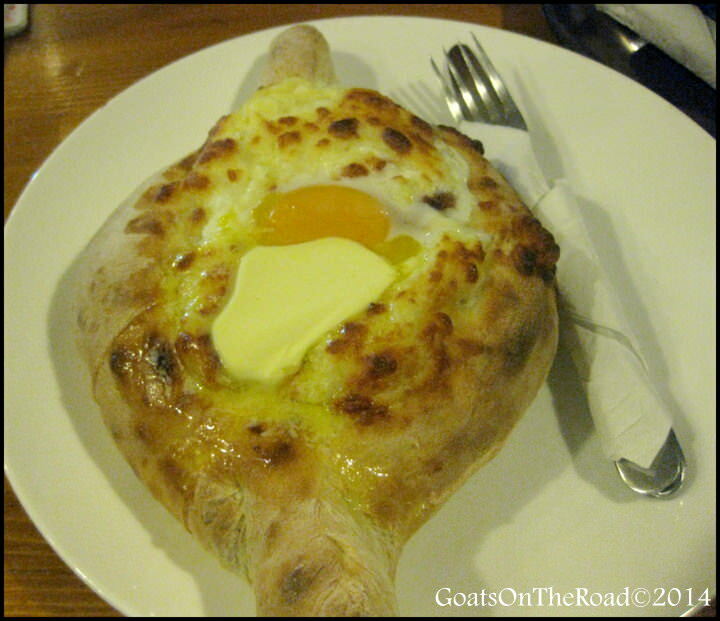 There are variations of this cheese-filled bread, but this one is shaped like a boat and topped with a raw egg and a cube of butter. It’s very rich, but delicious. Pita wraps (gyros) are stuffed with chicken or lamb meat, french fries, onions, tomatoes, cilantro and tzatziki sauce. These make for the perfect lunch, especially when accompanied with a block of feta cheese drizzled with olive oil and oregano & bread with a plate of tzatziki sauce. Yum! This was our go-to street side meal when we were living in Yangzhou. Flat egg noodles, shredded cucumber, cilantro, cubes of spongy tofu, sprouts, garlic and peanuts are all mixed together and covered in a soy and chili sauce! The perfect summer meal. Probably the most famous dish in the Land of Smiles, and for good reason. 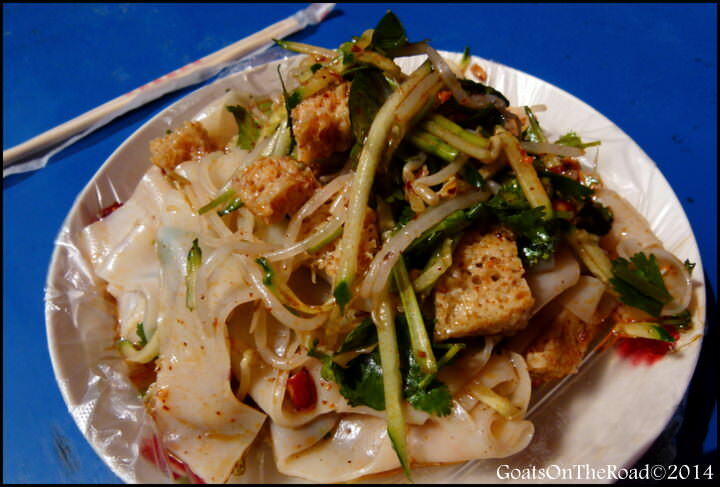 Rice noodles are mixed together with egg, tofu, bean sprouts, garlic, peanuts, shredded carrots, chives, fish sauce, sugar, lime juice, red chili pepper, cilantro and finally, your choice of meat! There are so many ingredients in this perfectly balanced sweet, salty and spicy meal. Ok, so this could (would) also be found in India, but when we were visiting the capital city of Dushanbe, we found the BEST Indian restaurant we’ve ever eaten at. It’s hard to believe, but it’s true. 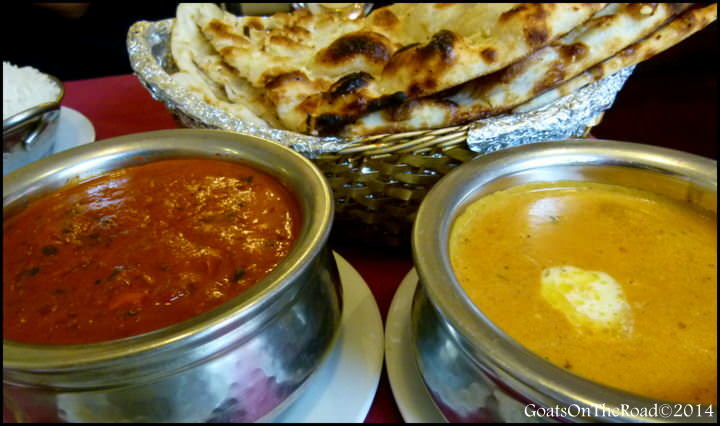 The owner is from Delhi and the creamy, spicy curries served with buttery tandoor naan bread were absolute perfection. Tamales are a corn-based dough stuffed with meat and spices, served any time of the day. 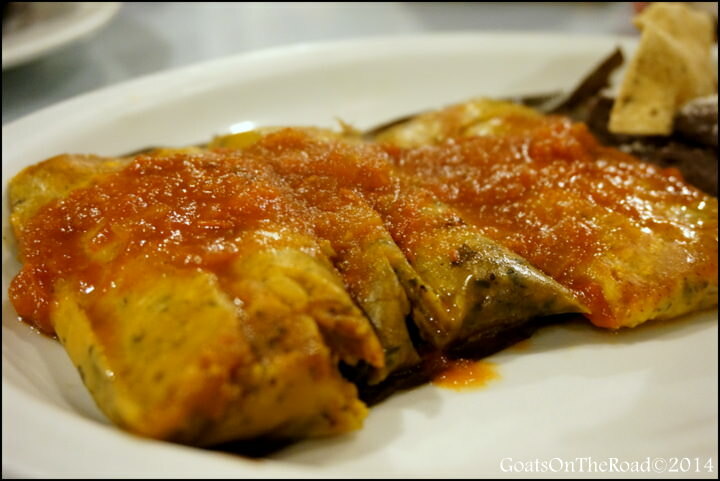 We were lucky enough to learn how to make Tamales the Mayan way when we were in Valladolid! After trying many foods in Southern Mexico, we found tamales were one of the most interesting and traditional foods on offer. 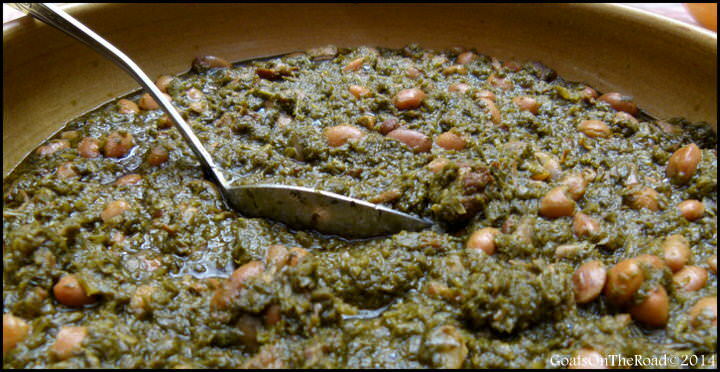 Ghormeh (meaning “stewed”) Sabzi (meaning “greens”) is said to be the national dish of Iran. Made with parsley, leeks, green onions, coriander, dried fenugreek leaves, spinach, beans and turmeric seasoned meat, this dish is complex and delicious! This particular photo is a version we tried in the desert village of Garmeh, with camel meat as the protein. Kebabs are a very popular meal in Turkey. Ground or cubed pieces of lamb, chicken and beef are seasoned, then grilled to perfection. 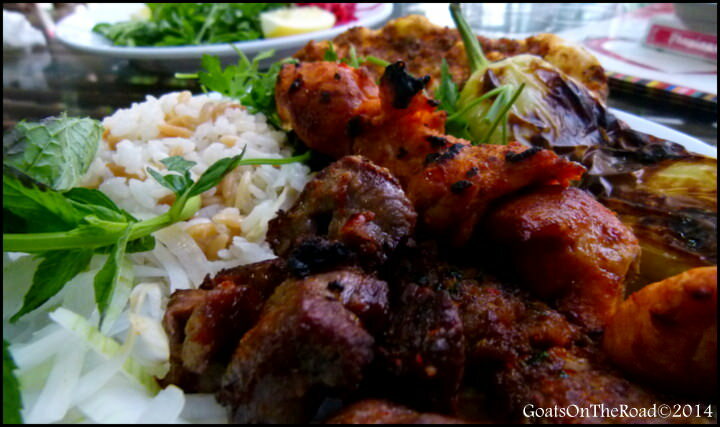 Kebab meals are typically served with rice, green salad, grilled tomatoes and peppers. A glass of hot, sweet chai (tea) is served at the end of the meal. These are just some of the many interesting and delicious meals we recommend trying. We love sampling local foods and rarely have we found a dish that we don’t like. Food is such an integral part of our lives and we always look forward to finding the perfect restaurant, and meal, in each country we visit. Check out Part #2 – it’s even more delicious! Any of these dishes sound good to you? Have you tried some of these? Tell us below! mmm I love momos!! & greek food might be my favorite. Yep, both are delicious! Do you prefer your momos steamed or fried?! Pad Thai! Come on…so many better Thai dishes than that one! The rest do look good however. Can’t wait to try an authentic street tamale when I get down to Mexico in August! Mexican food is fantastic. Enjoy! 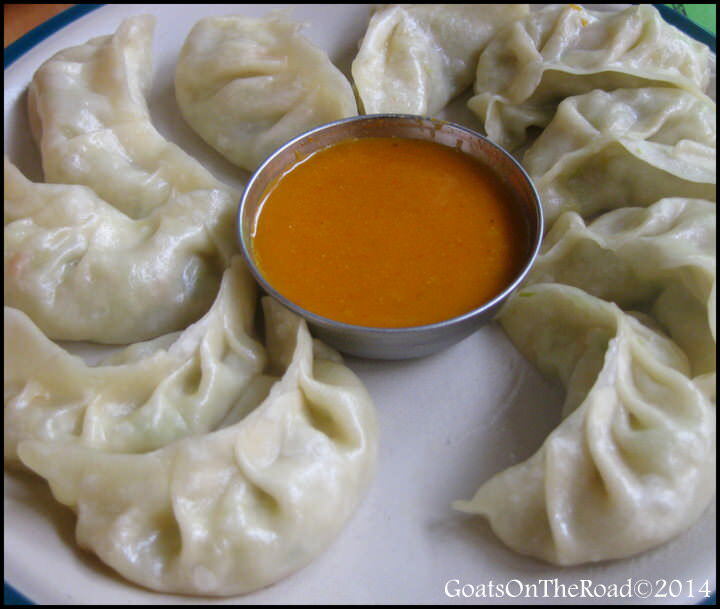 I LOVE dumplings, so cannot wait to try momos in Nepal later this year as well as an authentic indian curry (even if it blows my head off!). Thailand’s curries are great too, and those little chilies they use are incredibly fiery (banana spring rolls and pancakes are not too shabby either). For those of you heading to Australia in the future, you must try an Aussie beef pie and a traditional lamb roast. Hey Anna! If you love dumplings, then you’ll love momos! Indian curries are so diverse, some of them aren’t spicy, while many are quite hot 🙂 Good to know about the Aussie treats – is an Aussie beef pie similar to a shepard’s pie? I love trying new foods, and reading about food I have yet to try! 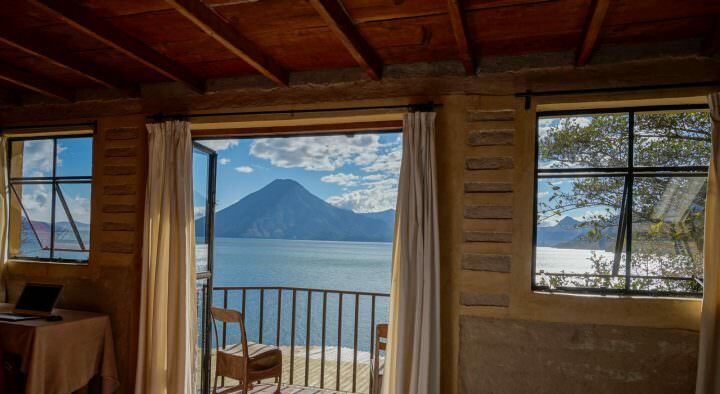 We just booked tickets to Mexico and are actually staying at Casa Hamaca, so I just might have to sign up for their tamales cooking class! I love perogies!! Although I’ve never had a traditional Polish one. Unfortunately, my perogie experience comes from the bag of frozen ones you buy at the grocery store 🙁 I’d love to go to Poland though and try these traditional dumplings! Exactly! Before travelling, I didn’t even know most of these meals existed 🙂 Experiencing the cuisines of each country we visit is a big part of why we love to travel. As a big fan of all things that comobine food and travel, I love this post!! 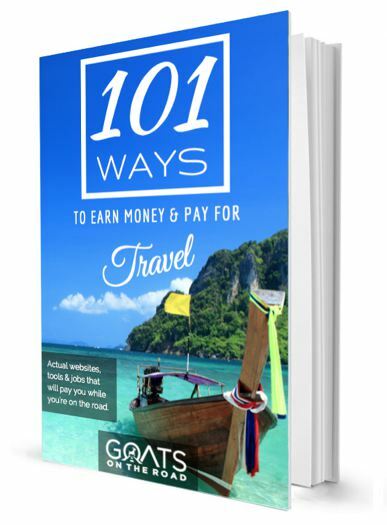 The momos from Nepal and the Mexican Tamales probably call out to me the most and a few of these, I’ve had a chance to try in their countries but a lot more from this list I need to sample! I can’t wait to have momos in Nepal and Pad Thai in Thailand! One of my favourite regional dishes is from your home country – Poutine! Poutine!! Nothing like french fries smothered in gravy and cheese to put a smile on your face 🙂 A great after the bar snack. Poutine is something I’ve had maybe 5 times in my whole life, due to obvious reasons! Glad you enjoy a cuisine from Canada, that’s great! Mmmm… making me hungry! Great list and am embarrassed I’ve only had a few of these (#6, 8). But am hoping this summer to be able to indulge in #4 and #10 and maybe even #3 & #9. Thanks for the foodie inspiration! Yummm! Momos 🙂 I can’t wait to try “Ghormeh Sabzi” this fall! Exactly, it’s such a huge part of travel! Great post! 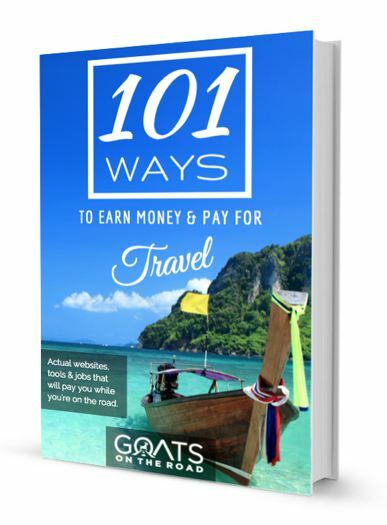 Looking forward to my upcoming trip to Turkey and endless kebabs! Enjoy the kebabs in Turkey, they’re amazing! Yum!! That sounds amazing 🙂 We did eat Laghman when we were living in Yangzhou because there were the Uyghur people living there. It was so good! We’ve never been to Xinjiang, but would love to visit! I have learned making some of the food posted by checking Talk to Chef and I have been very grateful to the site since then. I know Pad Thai is obvious, but it’s sooo good! I actually really love massuman curry and green and red curries as well from Thailand 🙂 Thanks for the comment!